Hi everyone! 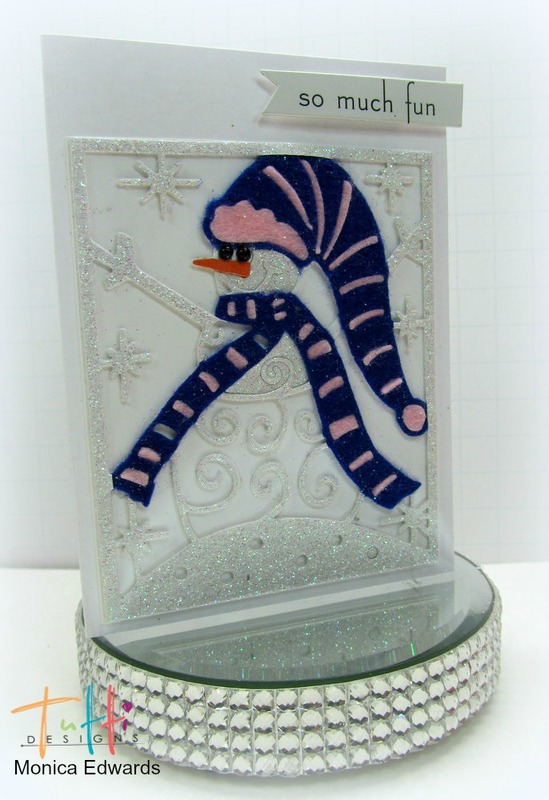 Today I am here sharing a card I created using Snowman Panel die a release for July! I decided to layer this die using felt and glitter paper for the snow. I used blue and pink felt for his hat and paper pieced his nose and used some flat back pearls in black Mr Snowman eyes. I hope everyone enjoyed my card for today and thanks so much for stopping by. Below are Tutti links for additional inspiration. Oh he is fantastic! I love how you dressed him all up and the added sparkle and shine! Cool.....literally!